Play fast, play hard, have fun! At River View Golf Course we take pride in our great pace of play. Our average weekday round of 18 holes takes 3.5 hours, and on weekends we are averaging 4-4.5 hours. Several of our golf holes play adjacent to or across the seasonal Santa Ana River as it winds its way from the mountains of Southern California to the Pacific Ocean. Playing these holes can be a challenge that tests not only the golfer skill but their ability to successfully navigate a challenging golf hole. Use your skill and cunning to play these holes and you will score well. Try to overpower the river and you had best be prepared to pay a steep price. Nowhere else in Southern California is there a river mid-city to challenge your game, but you can carry the river if you use your head. Mere minutes away from Disneyland, Anaheim, Long Beach, Tustin and Irvine, River View Golf Course is an 18-hole course featuring 6,190 yards of golf from the longest tees for a par of 70. River View is a pleasure for golfers of any skill level to play. The course will challenge you with its river, while providing a relaxing, picturesque backdrop. All in all, our goal is to provide you with a quality experience that includes exceptional service and a comfortable atmosphere. Are you a Tustin or Irvine golfer? 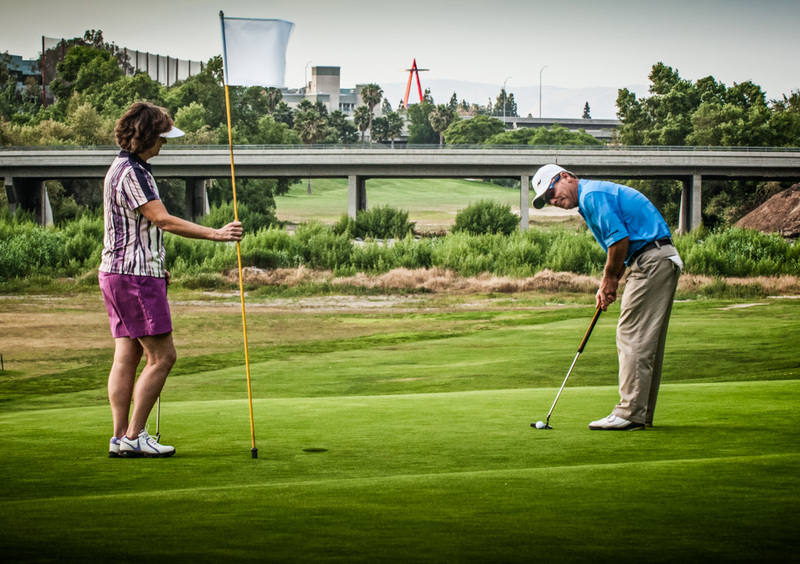 Come find out why so many Orange County golfers play our golf course! 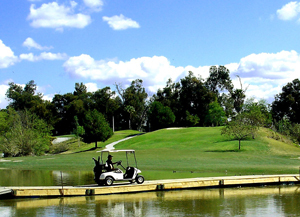 Challenging tee shots, elevated tees and greens, a seasonal river that runs through the course and perhaps the finest public greens in Orange County, have made River View one of the area's most popular and challenging golf courses. This course has played host to many tournaments and championship events over the years. Past River View Tournament winners have included Scott Simpson, Lew Cooper, Louie Carrasco Jr. and Tiger Woods. River View Golf Course does not and shall not discriminate on the basis of race, color, religion (creed), gender, gender expression, age, national origin (ancestry), disability, marital status, sexual orientation, or military status, in any of its activities or operations.